Cellular and DNA damage caused by ultraviolet radiation from sunlight or other sources results in melanoma and nonmelanoma skin cancers, premature aging and skin damage. Biomodels’ UVB skin damage model uses precise dosing of UV radiation with a well-established blinded photographic scoring system and selected histological markers to quantify damage levels to specific skin cells/layers. 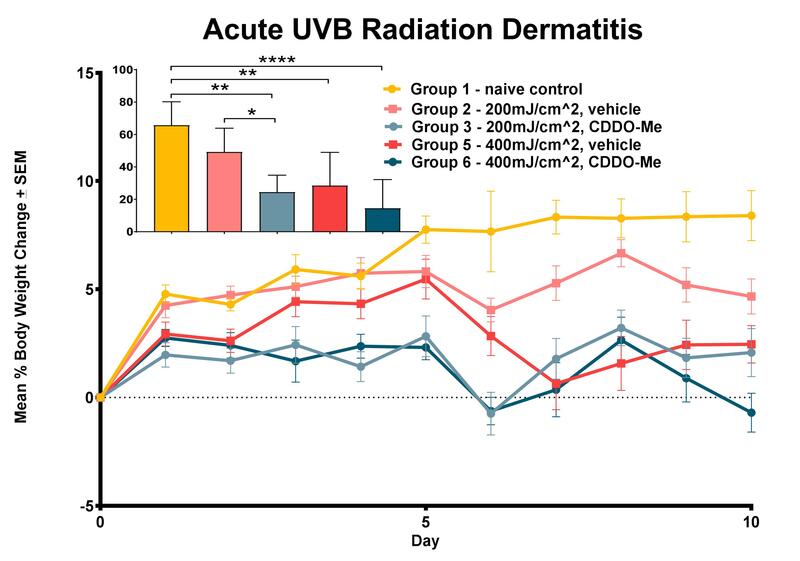 Novel therapies against UV damage are benchmarked against well validated positive controls.